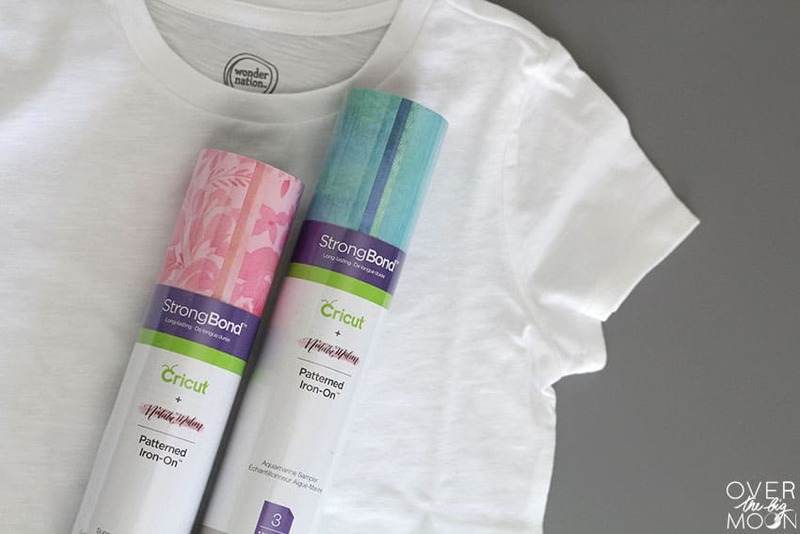 Cricut Patterned Iron On is the perfect way to take your Iron On projects to the next level! 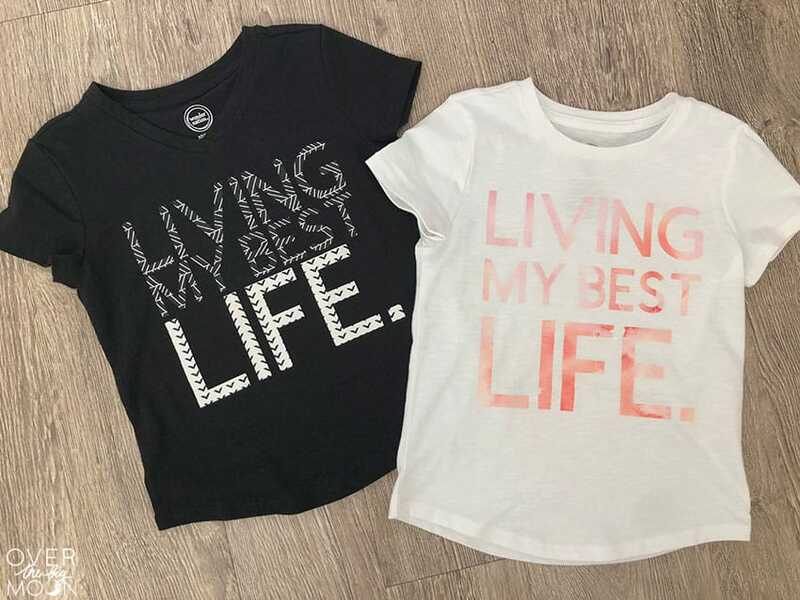 I’ve got a full tutorial showing you How to Use Cricut Patterned Iron On to make two versions of this fun Living My Best Life T-Shirt! Last week when I made these Basketball Shirts with Cricut SportFlex Iron On™ for my boys, my daughter got super jealous! 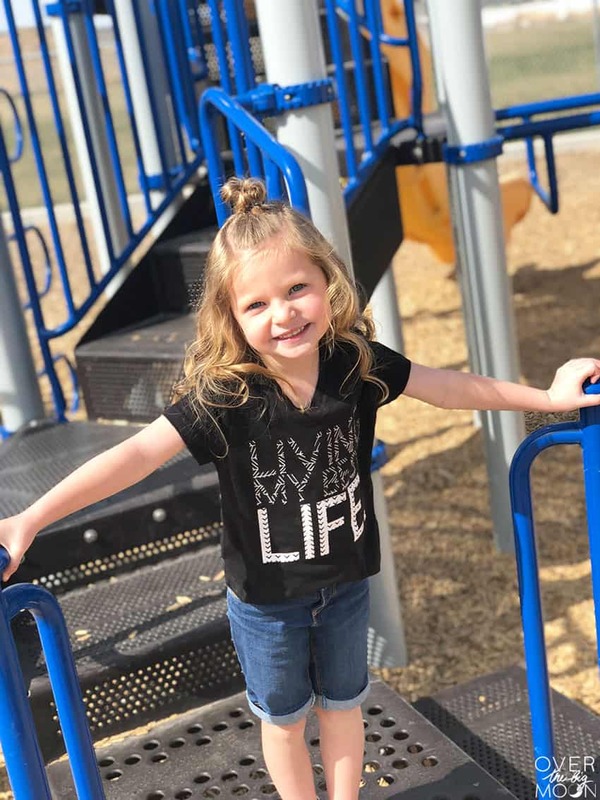 So, I promised her I’d make her a new shirt or two this week! 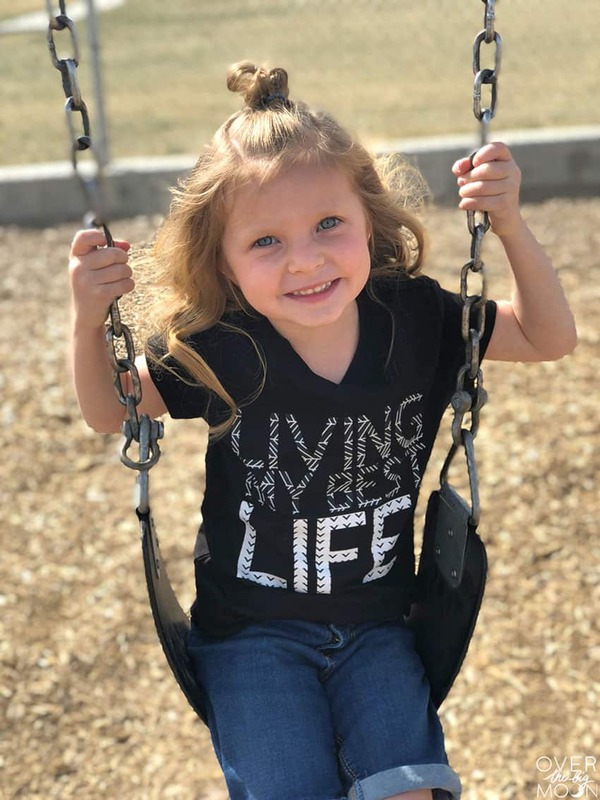 Being that she’s 4 and pretty much just gets to play 75% of her day, I figured this saying was perfect for her! I chose to use the new Cricut Patterned Iron On! 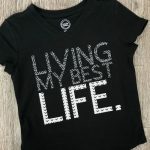 It is the perfect way to decorate any apparel — t-shirts, hoodies, totes, onesies, pillows and more! 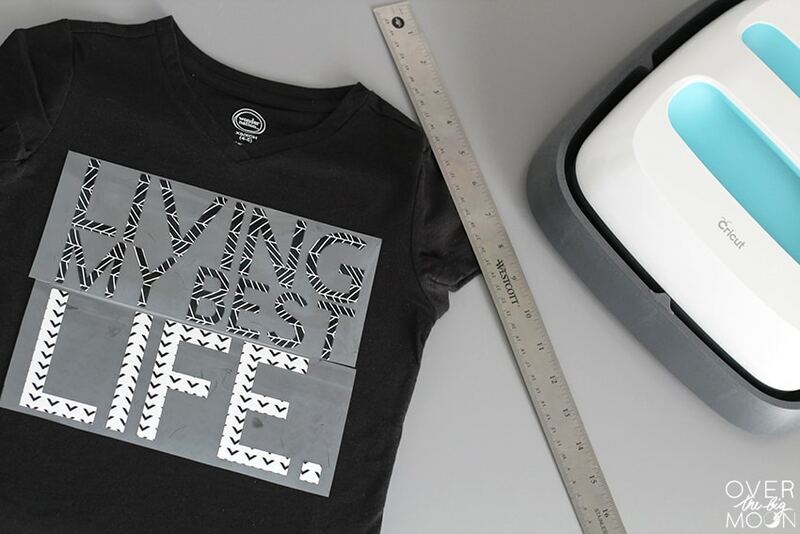 The Cricut Patterned Iron On is available in 9 different samplers. Each sampler comes with three 12″ x 17″ sheets. Each sheet is a different pattern that coordinates together! I like a pretty simple design, so I went with a basic font found in my Cricut Design Space! You can access the design by clicking here! 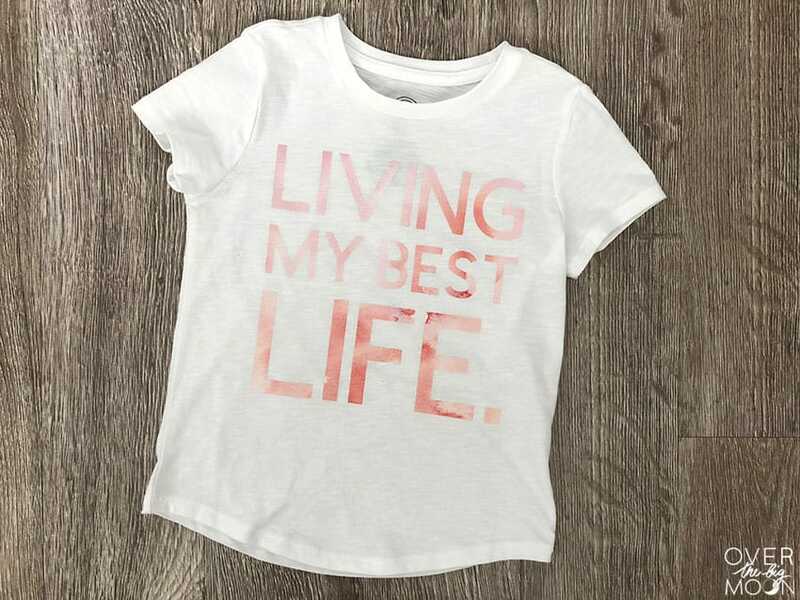 Open up my Living My Best Life Design HERE or the design you are wanting to cut. Make sure to measure the area on your shirt (or whatever surface you are working with) that you want the design to cover! Resize the design in Design Space to fit that space. 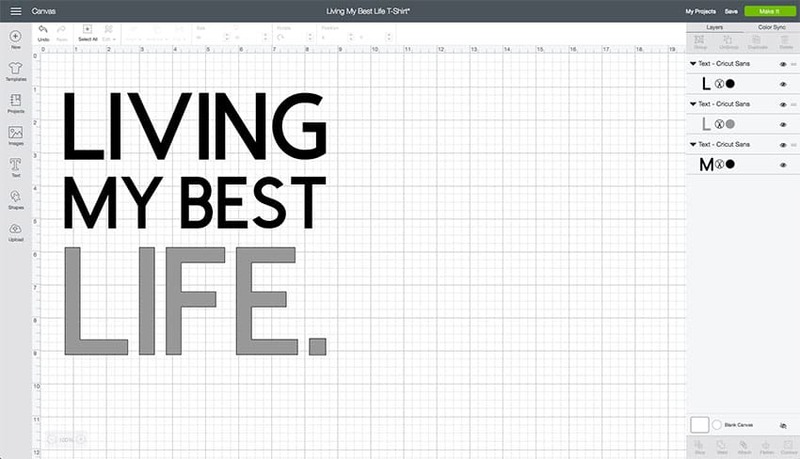 I was using two patterns in my design, so I changed the color of the word LIFE to gray. If you were only sing one pattern, then keep them all the same color. 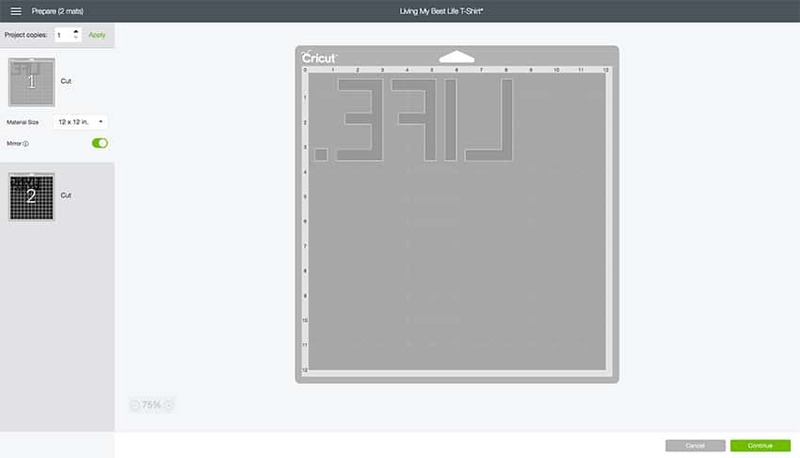 When your design is all ready press ‘MAKE IT’ in the top right hand corner to preview your mats! At this time, make sure to MIRROR the image! Once everything looks ready to cut, click ‘CONTINUE’ in the bottom right corner! 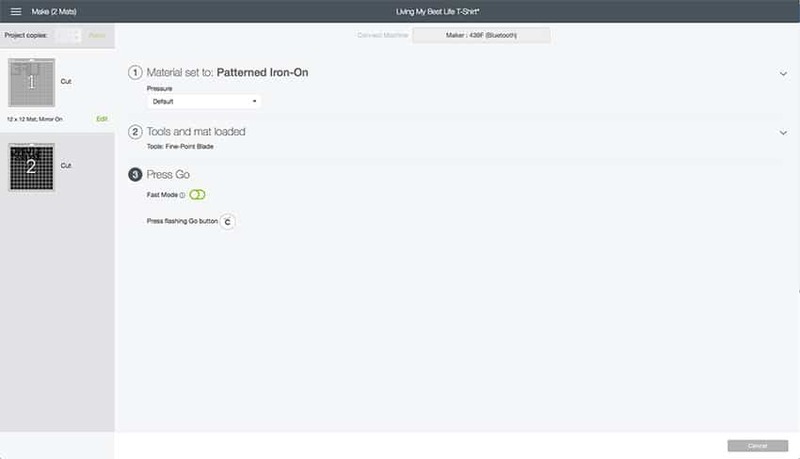 For the Maker machine, select the Patterned Iron On setting. For Explore machines, turn your dial to CUSTOM. Select Patterned Iron On from the list of materials. Then go ahead and make your cuts! Once the cuts are made weed out the iron on around your design. Use scissors to trim around your design. Set the heat to 340 Fahrenheit on your EasyPress. Place your shirt and design on top of the EasyPress Mat! The EasyPress Mat is AWESOME! Not only does it protect your surface, but it helps make sure all the heat goes to transferring your Iron On Design vs going into your surface or whatever your shirt is laying on! 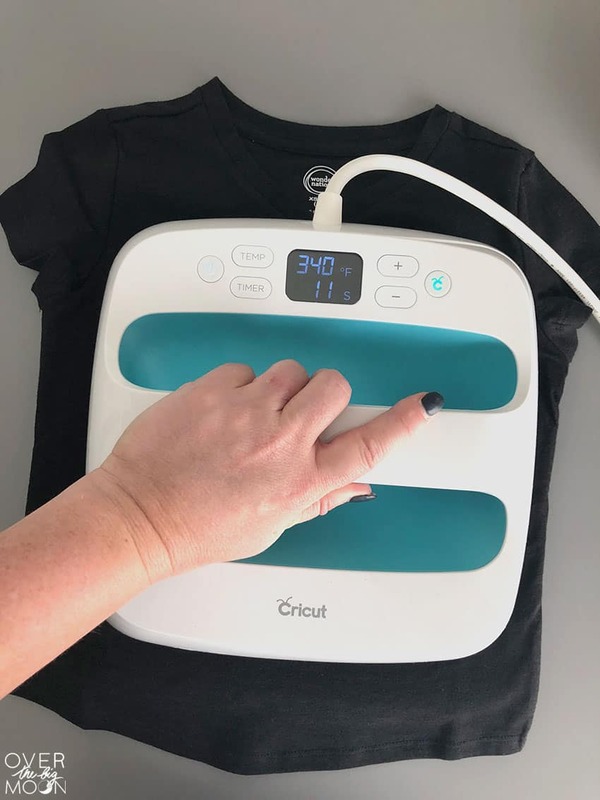 Apply your Cricut Patterned Iron On design to the garment with the plastic liner facing UP and use the EasyPress for 50 seconds. Flip the garment over and apply heat to the back of the surface for 15 seconds. 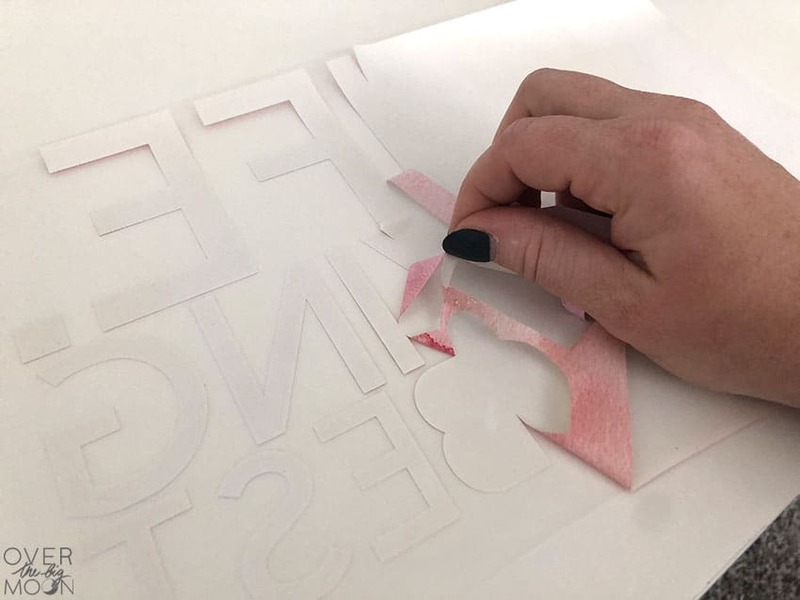 Apply your Cricut Patterned Iron On design to the surface with the plastic lining up and place a teflon sheet or thin towel between your design and the Iron. Use the Iron with firm pressure all over your design for approx 50-60 seconds. Because the iron isn’t as big and because it doesn’t have consistent heat on the heat plate, you DO need to constantly be moving it. This is one of the major reasons I prefer the EasyPress. I think they turned out dang cute and now I want to make me one! And my daughter loves them so much! 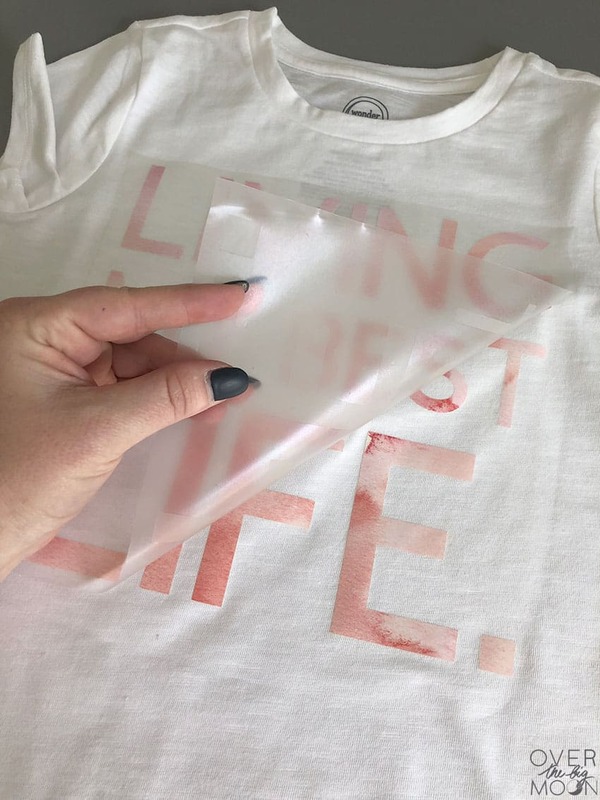 Do Not Layer Patterned Iron On! 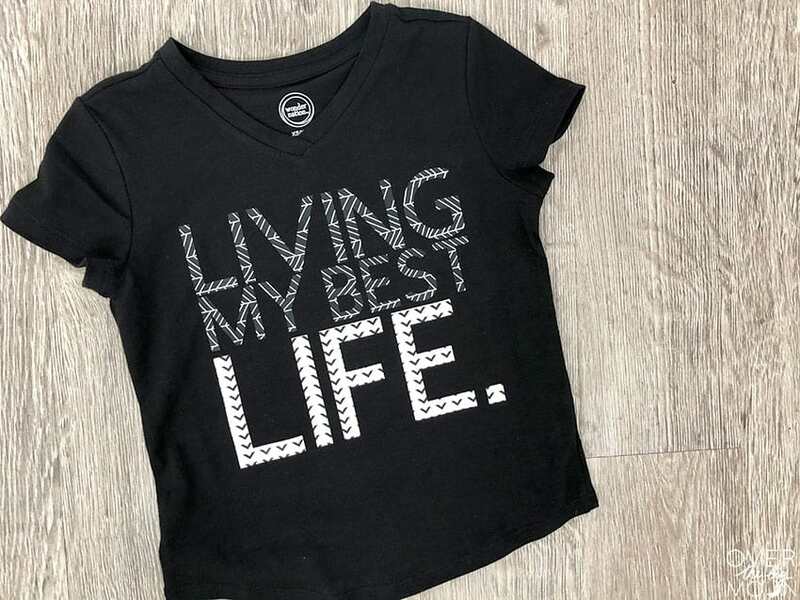 Cricut DOES NOT recommend layering their patterned iron on. This goes for layering patterned iron on on top of other patterned iron on. As well as with regular Iron On Lite! You can use the slice feature to get the same look! Do not wash for 24 hours after applying the Iron On Design. And always wash inside out! If mixing with regular Cricut Iron On Lite, start with the layer/material that has the lowest heat. 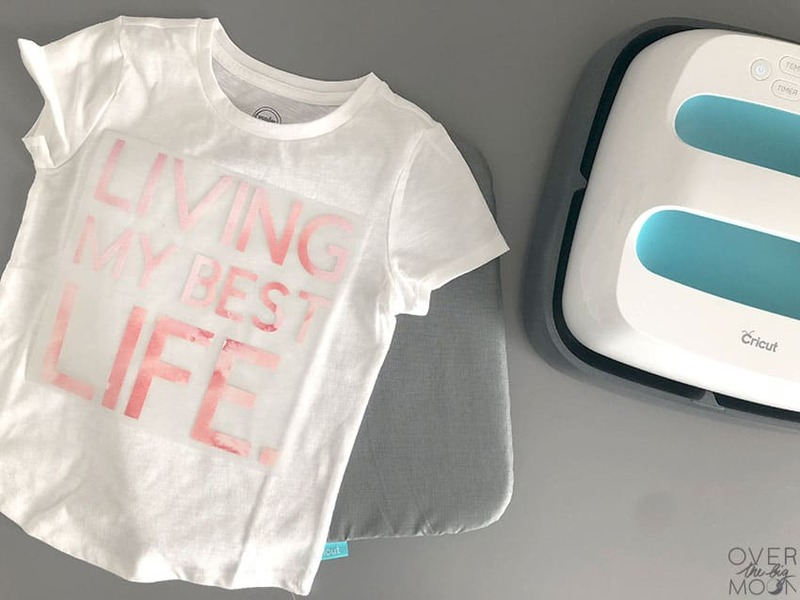 If you love this Cricut project, make sure and check out these other fun Iron On projects!